Running Tally: $150.00 to charity. I think this is the only performance-related goal that I met. The Strathmore is a lovely modified shoebox concert hall in the Maryland suburbs of Washington DC. 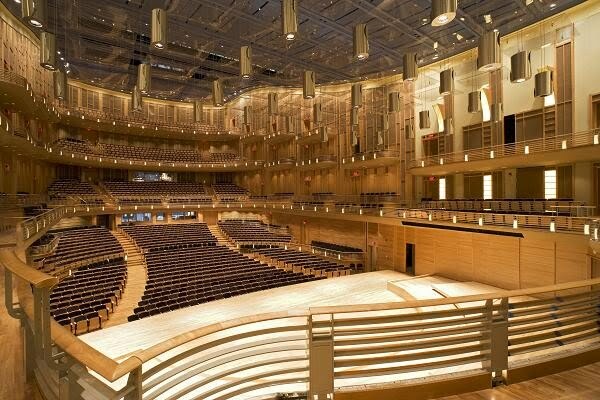 In my opinion it is much better aesthetically and acoustically than the National Symphony Orchestra’s home at the Kennedy Center. Very smartly the Baltimore Symphony Orchestra made this their home away from home and do a fairly full season of concerts here, tapping into the affluent suburbs of DC for a customer base that might be reluctant to drive the hour to Baltimore. The orchestra played well, the experience was very nice. We will definitely go back.